Who doesn't love a good giveaway! Is it accurate to say that you are one for getting pretty excited at Halloween? Who doesn't love a touch of spooky cheer?! 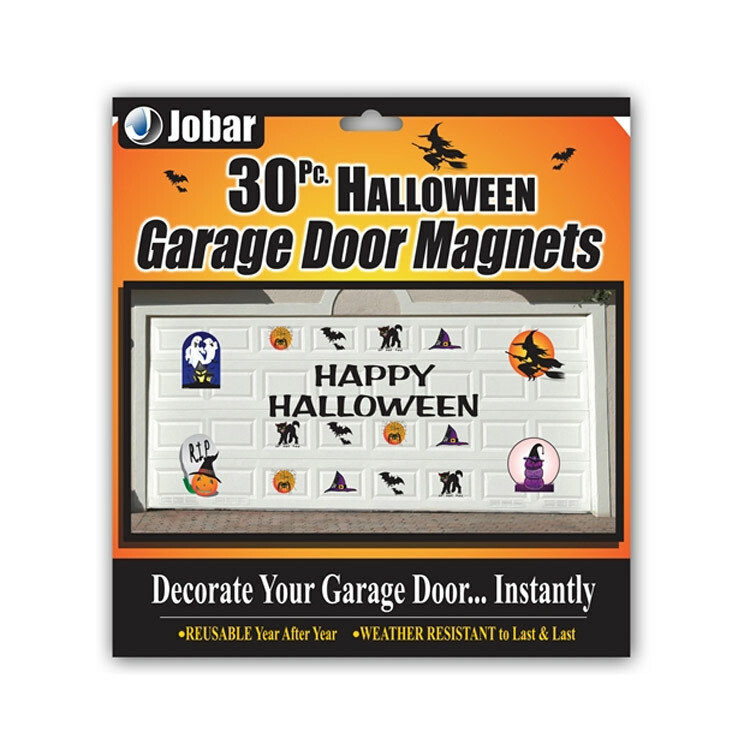 Enhance your garage doors and add a touch of Halloween horror to the area with these remarkably startling magnets! With these magnets, Halloween has never been so easy! All you need to do is simply peel and stick – it really is that basic! Organize the spooky magnets as you wish and you will have yourself a super spooky garage entryway. These magnets can likewise adhere to your refrigerator as well to enhance any indoor Halloween party's! This magnet set has 30 pieces; 14 that spell "HAPPY HALLOWEEN" and 16 different magnets , for example, a pumpkin, apparitions, dark felines, witches and bats! These magnets don't just rapidly enhance your outdoor space; they are reusable a seemingly endless amount of times as they are weather resistant. Brighten your garage doors in time for Halloween and have fun with all the family putting them up!